As regular readers of The Music Box likely are aware, Andy Palacio and the Garifuna Collective’s Watina topped my list of the best albums of 2007. The effort exposed a global audience to the music of a culture that had remained under the radars of everyone outside the most ardent ethno-musicologists. Listeners not only embraced Watina, but they also responded to it with a level of enthusiasm that I haven’t seen since 1986, when Paul Simon introduced the world at large to the rhythms of South Africa with Graceland. While Palacio had been a huge Punta rock star in his native Belize for decades, the release of Watina thrust him onto the international stage as he received accolades that no Third-World artist had garnered since Bob Marley exploded into the public’s consciousness in the early 1970s. Following his mandate to elevate the profile of Garifuna culture, Palacio — along with producer Ivan Duran — opted to record Umalali — a collection of women’s songs — in place of an immediate follow-up to Watina. Sadly, Palacio died two months ago of medical complications, and consequently, Umalali will be remembered as his final project. Thankfully, it also is a triumph, and no artist could wish to leave behind a legacy that is as vibrant, exciting, and perfect as Umalali provides. 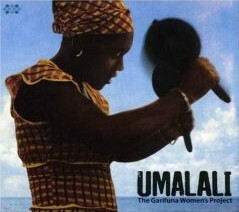 The making of Umalali was spearheaded by Duran, the owner of Stonetree Records, who began searching, more than a decade ago, for Garifuna songs that were sung from the female rather than the male perspective. He made a series of field recordings of women performing in kitchens and living rooms as well as on the beaches where many of them worked. His sole purpose was to shed light on those who truly were keeping the Garifuna culture alive. Five years after his journey began, Duran had amassed a treasure trove of material that he knew world music fans would want to hear. He constructed a rustic studio in Hopkins, a small village in Belize, in order to record some basic vocal and percussion tracks. Then, with Palacio serving as his chief advisor, Duran and a host of musicians began adding instrumentation, textures, and ambient natural sounds to the bare-bones recordings. Umalali is the result, and what a glorious album it is! The singers represent many generations and classes of women, all of whom contribute passionate stories about love, life, and struggle. Among the highlights is Nibari, which translates to "my grandchild" and is sung by Sofia Blanco. Heart-wrenching, poignant, and uplifting, it still sends shivers down my spine every time I hear it. Elsewhere, echoes of R&B and the blues emerge in Lirun Biganute as Chela Torres wails out an angry lament about discovering that her daughter has been lured into prostitution. In addition, there are healing songs, traditional dirges, and tunes of joy — all of which are delivered with levels of energy and intensity that make it impossible to choose a favorite track from the endeavor. As always, special mention must be given to Cumbancha for the care and attention that was given to Umalali’s release. Flawlessly recorded and mastered, the album surpasses the already high standards that have been set by the label. The accompanying 36-page booklet is filled with beautiful photographs of the performers as well as locations where some of the recordings were made, and the English-language translations of the lyrics are invaluable. The real reason to buy Umalali on CD — as opposed to downloading it — however, is that when it is played on a computer, listeners can learn more about Garifuna culture by using a fascinating, interactive map to trace its migration along the Central American coastline. In addition, there are wonderful rehearsal videos and several of Duran’s original field recordings. These rough initial versions — by themselves — are worth the cost of the record. The death of Palacio was a tragic loss for the world music scene, and it will take years to appreciate the enormity of the void he left. Fortunately, the magnificence of Umalali eases at least some of the pain, and it reassures fans of Garifuna music that there remains a lot of uncharted territory to be explored. Without a doubt, this is an indispensable endeavor.